Do you know that Black Friday and Cyber Monday are just around the corner? Barely a few days to go, this is the time to prepare your online store to sell 10 times more than usual. But how? Let’s find out. Devised by intelligent marketers to wow consumers, Black Friday is one of the most advertised shopping events of all time, so much so that we might forget its brother, Cyber Monday, which falls on the Monday immediately following Black Friday. Collectively, Black Friday and Cyber Monday (BFCM) form the biggest shopping occasions of the holiday season. During this week, shoppers spend billions chasing juicy promotional offers, which in turn earn fortunes for online stores through sales. Get customers for more engagement even after the shopping season. Identify your Goals: Though many retailers’ ultimate goals might be more sales and revenue, yours might be different, like building your brand awareness, bringing in new customers, or discarding your old stock. Once you identify your goals, your tasks will be made easy. Use Data to conquer the game: Leverage your online store’s previous data to identify which metrics worked for your customers, which didn’t, and how you can use current market trends to get more sales. Check your offers: What type of products will you like to sell more during this week? What promotional offers will you provide? And how will you handle shipping? These questions should be answered during your planning stage. For those who might have run out of time because of busy schedules, you can download Shopify’s Black Friday and Cyber Monday 2018 Sales Worksheet and save yourself the hustle. Conduct multiple testing to ensure your site loads faster during peak periods, and to fix annoying 404 errors. Use web-based firewalls to protect your online store from security breaches. 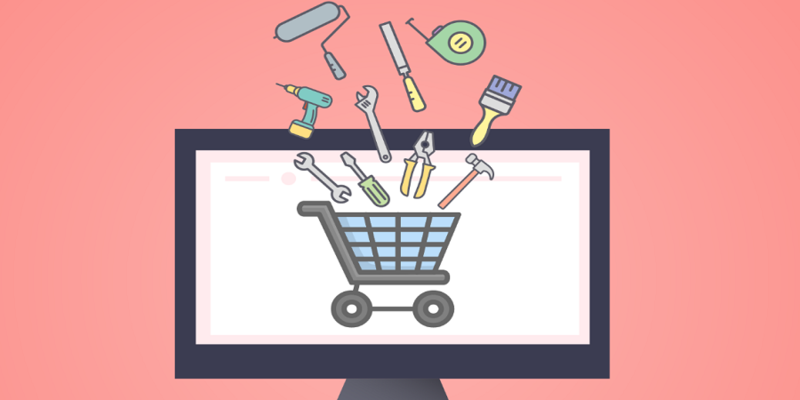 Ensure your site’s user experience is top-notch, including login, navigation, and checkout. Mobile accounts for 56 percent of e-commerce traffic, so you should ensure that your site is responsive enough to look good on any device, especially on mobile. You can use Google’s Mobile responsive testing resource to make the work easier. A fisherman who goes fishing without a bait comes home empty-handed. So will your e-commerce site not produce sales if all you do is update it with products and sit there waiting for Black Friday and Cyber Monday. All you need is a comprehensive marketing strategy – SEO, Social Media, and Email Marketing. Search Engine Optimization (SEO). From your site’s content to product descriptions, your SEO strategy should give search engines the go-ahead to properly index your site. A proper SEO strategy should come with relevant keywords in product descriptions and pages, have ‘Black Friday’ and ‘Cyber Monday’ as part of your content where appropriate, and use Latent Semantic Indexing Keywords – keywords that are closely related to your products in order to be discovered. Social Media Marketing. Countdown to the BFCM Week, you need to intensify your social media marketing to reach as many new and existing customers as possible. And to do this, you need to create engaging and shareable Facebook campaigns for your target audience, search for popular hashtags in your niche and use that to close more deals on Instagram and Twitter, and use plugins to automate your social media posting. One tool that has worked for many is the Twitter Auto-Post Lotus application, which allows you to automate your store’s posting to Twitter. Email Marketing. Whiles social media and search engines are flooded with advertisements from your rivals, email is your best bet to outsmart the competition. To conquer BFCM through email marketing, you should send reminder emails to your customers about your upcoming offers, send emails on the BFCM week, give your loyal customers a VIP treat, and use abandoned cart emails to remind your customers of their deals. And for those who want to write marketing emails that drive sales, this post will give you the ins and outs of the game. How To Write Marketing Emails That Drive Sales. Leverage marketing tools for outreach: Example: Buffer, SEMrush, AWeber, etc. Use chat plugins to allow for 24/7 support during the peak times. Look for shipping plugins that allow you to maximize shipping time and minimize cost. Use reward software such as the Beans Reward program to reward your loyal customers. Ever heard the saying “the best fights are fought by those without a Plan B”? Well, that’s not when you are an e-commerce seller looking to cash in on Black Friday and Cyber Monday. We are not advocating for a doomsday scenario, but anything can happen – your site could even crash. What would you do when the worst case scenario happens? In order to survive the BFCM season, make sure you create a backup of the latest version of your site, research into other possible shipping careers in case your shipping agency is too busy to deliver all your orders, and don’t forget to ask for help from a friend or hire a professional to help you manage the site when traffic peaks higher beyond your capacity. On a final note, always remember that your site will continue to operate after Black Friday and Cyber Monday, so don’t overdo things.